All made in Italy, Nomination produces fashion jewellery for men and for women using materials of the highest quality. Nomination’s brand philosophy was established with the creation of the Composable Link Bracelet in 1987 which is made up of a series of interchangeable precious links that allow you to personalise your bracelet to express your style and personality. Nomination is an international brand with more than 5,000 independent retailers and 100 monobrand stores around the world. The bracelet born to tell your stories. 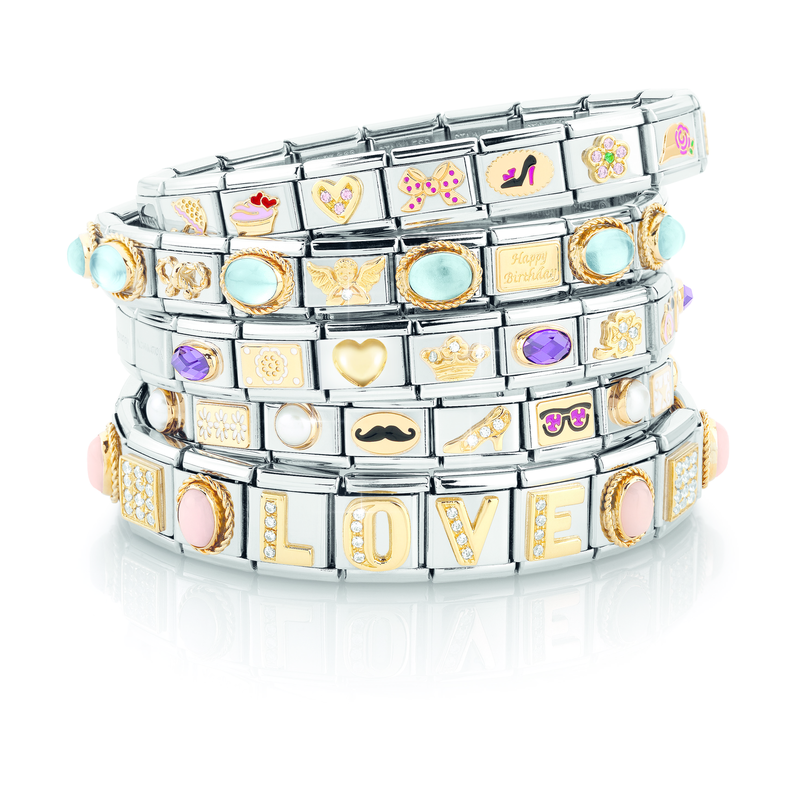 With more than 3000 symbols you can express and celebrate life’s most beautiful moments. 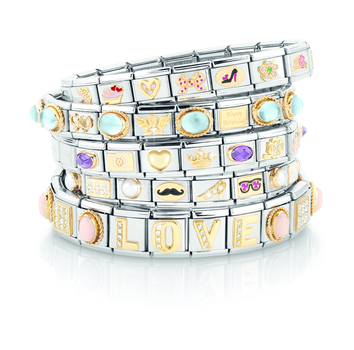 Create and rewrite your story with an exclusive bracelet that is unique, just like you. The ‘cult’ collection for NOMINATION jewellery enthusiasts, the Extension collection features a wide selection of ready-to-wear expandable bracelets and rings inspired by the design of the classic watchband. A new way to express yourself and your passions, with an iconic necklace to be personalized with the messages you prefer. Tell your story and your emotions, in a purely Nomination style with the new SeiMia Collection.